They included an info card for some online bonuses. 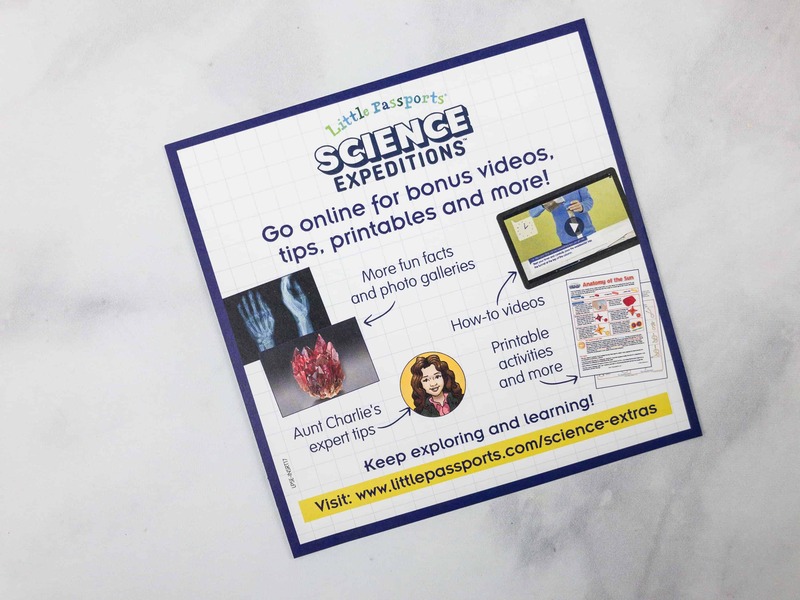 It features videos, tips, printables and more, for more scientific fun! Everything inside our Aerodynamics box. Achievement Badge. 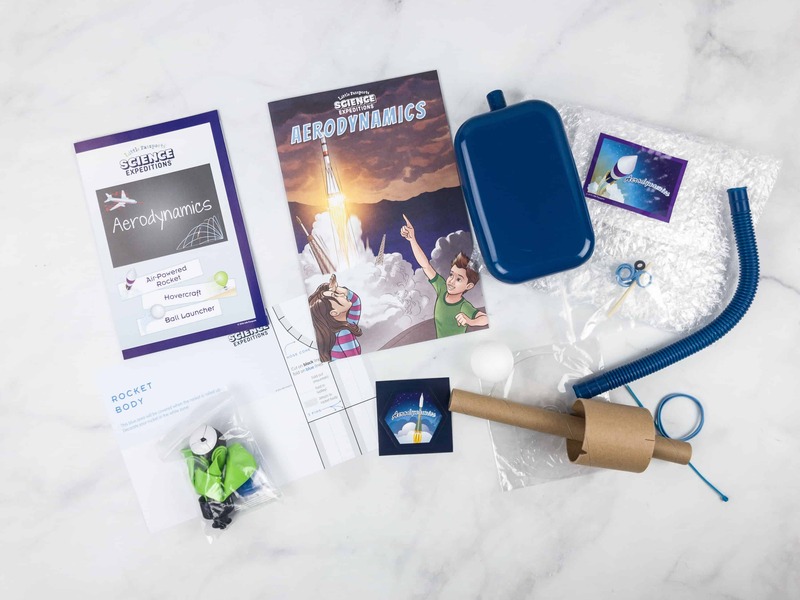 Every box includes a sticker badge, which can be placed and collected in the lab notebook when your child has completed the tasks. Little Passports Science Expeditions: Caves & Crystals Comic: Every box includes a 16-page comic book with glossary and bonus activities. There’s a letter from Sam and Sofia about their experience during their exploration at the International Space Station. 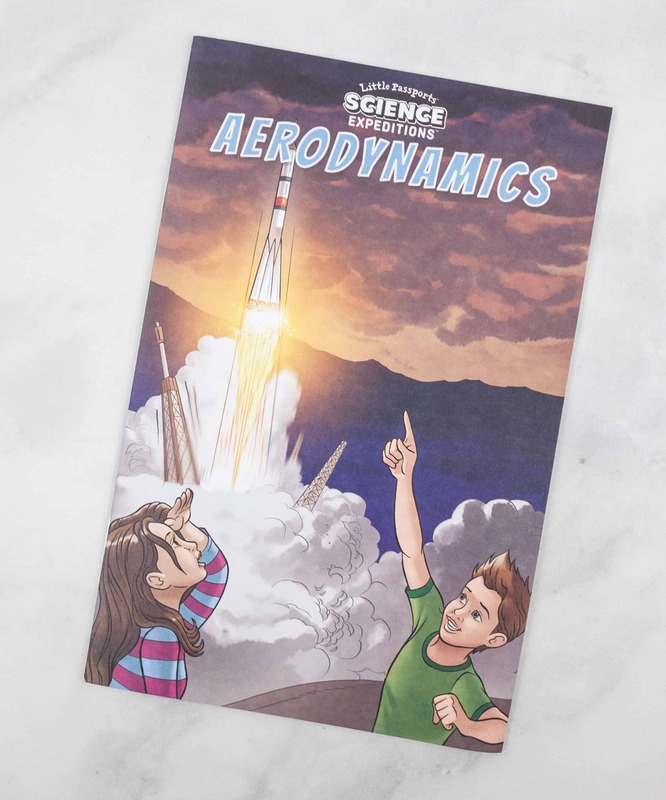 It does a great job at introducing aerodynamics and provides an engaging comic strip story! First up on the Aerodynamics activities is Launch Protocol. It’s about the rules and steps when sending rockets into space. Kids have to read the descriptions and match them with the corresponding illustrations. 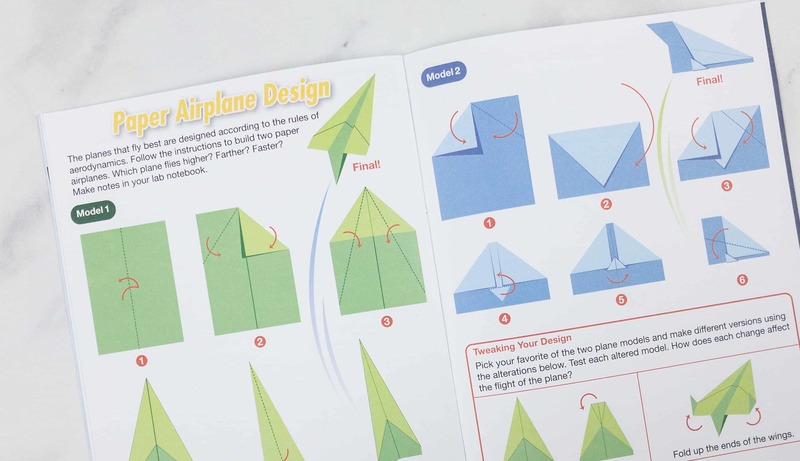 The next activity is about making paper airplanes. 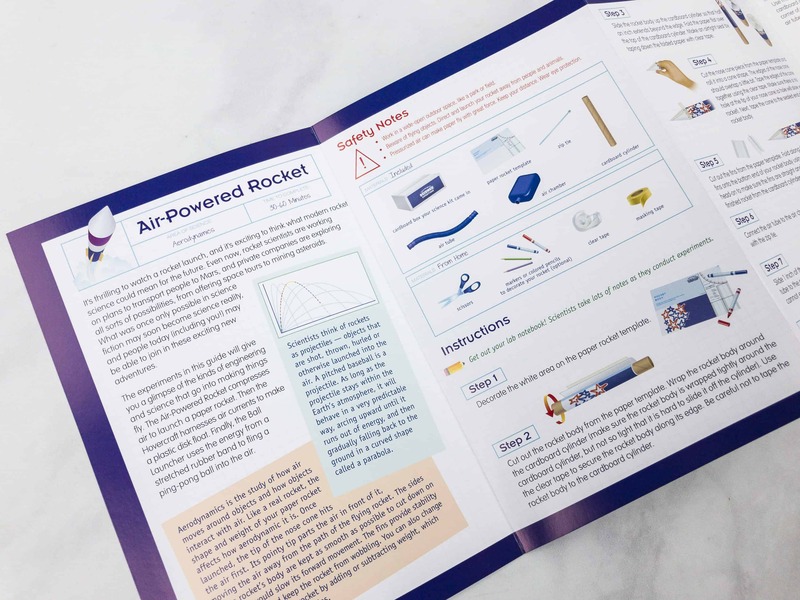 The booklet shows how the design will affect the stability and capability of a paper plane. You can get any scrap paper or colored paper you have at home for this activity. 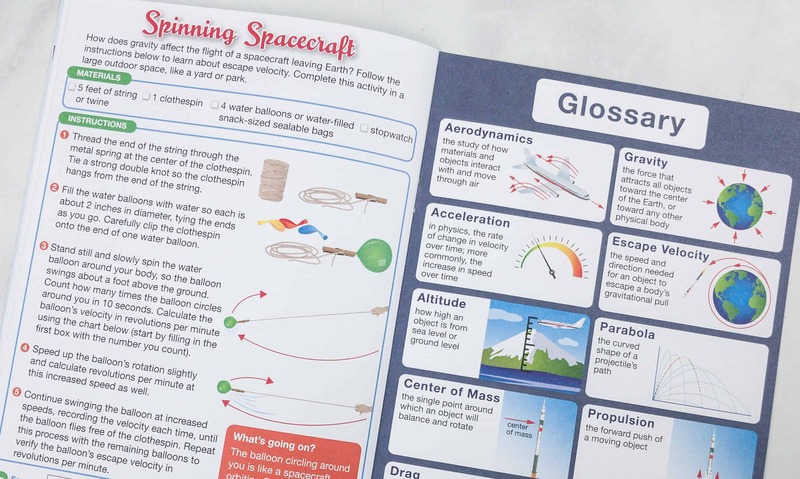 Another activity is called Spinning Spacecraft and it’s about how gravity affects the flight of a spacecraft. 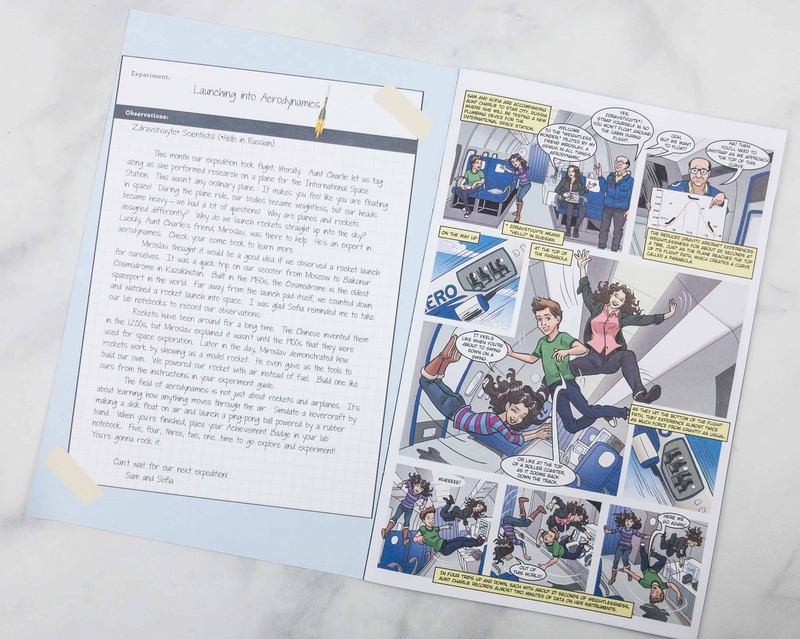 The booklet also features an informative glossary that provides brief descriptions about aerodynamics related keywords, plus awesome illustrations! 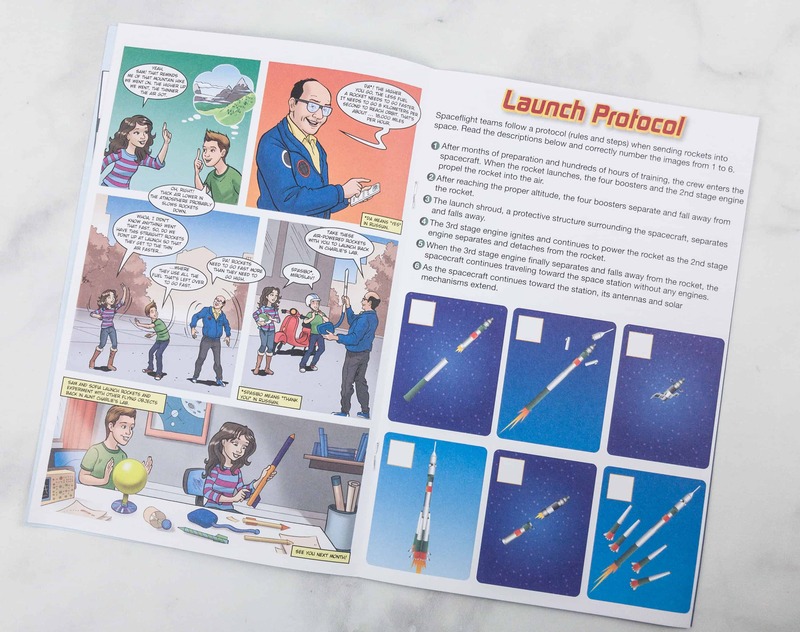 My daughter loved reading the comic and working on the on-page activities and learning about binary code. 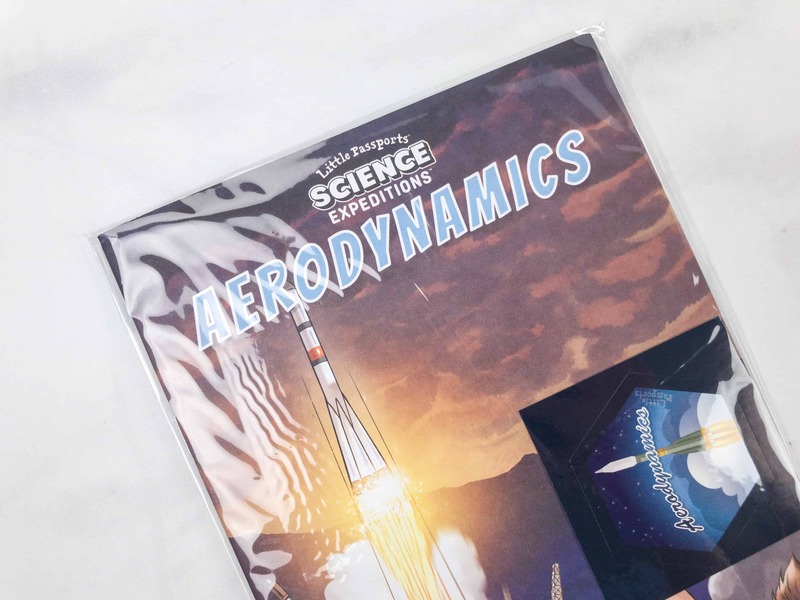 After reading and working through the enclosed Aerodynamics comics, we’re ready to do the experiments! 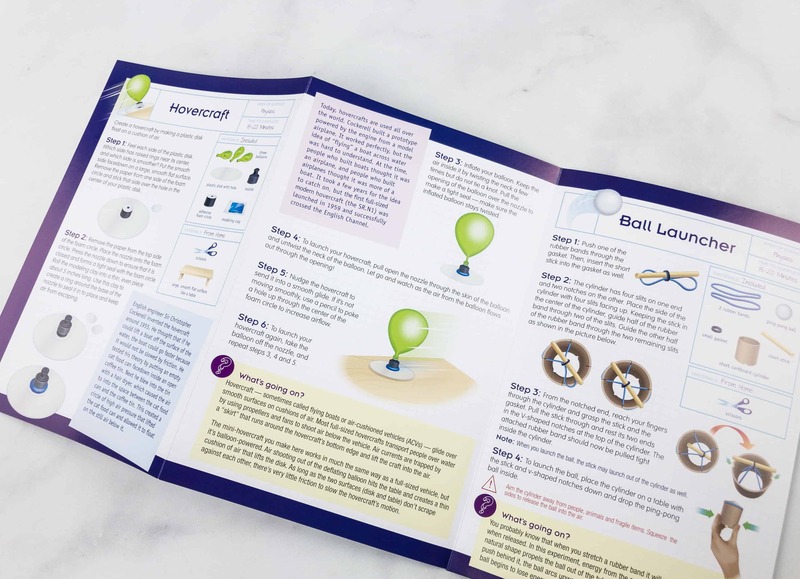 The brochure is quite lengthy but is very important because it provides detailed step-by-step procedure for each experiment. 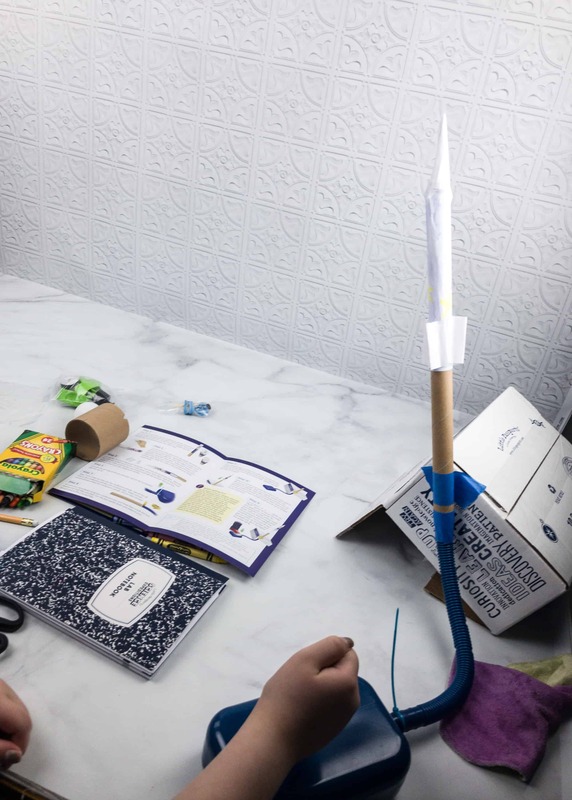 The first experiment is about making your own air-powered rocket. 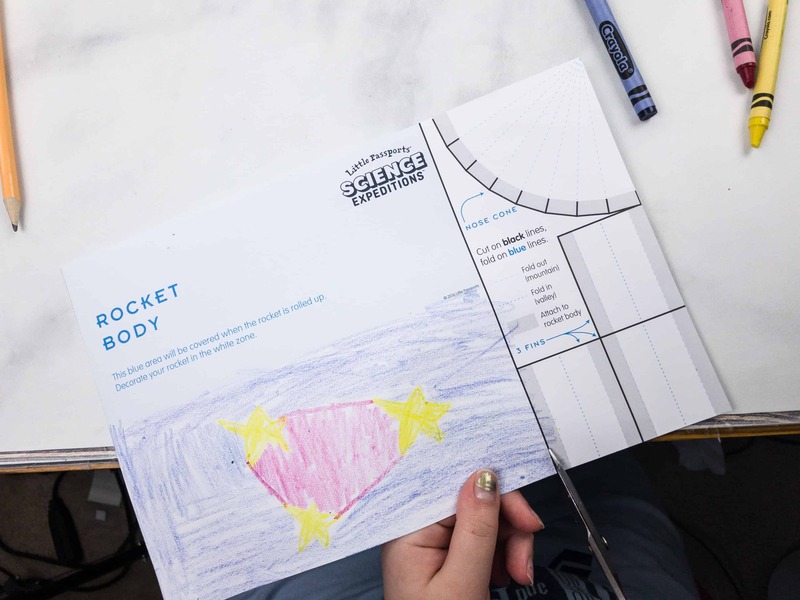 Kids have the chance to personalize the rocket using crayons or pens. There’s also some cutting involved so it requires adult supervision. 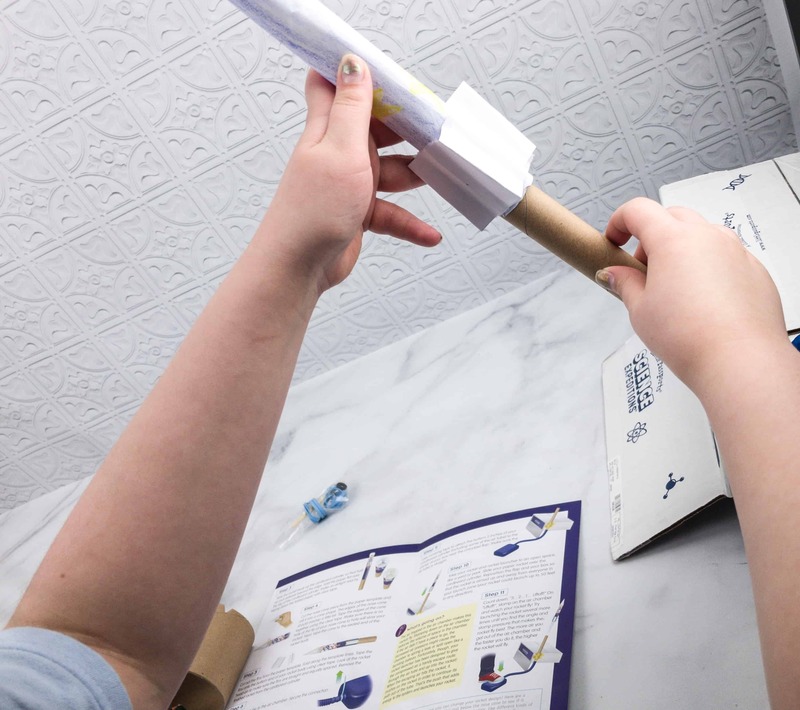 After cutting, you can now roll the paper template around the cardboard cylinder to make sure that rocket fits the cardboard launcher. Once fitting is done, our improvised rocket is ready to be launched! Aside from the rocket launcher, there are two more activities: a hovercraft and a ball launcher. 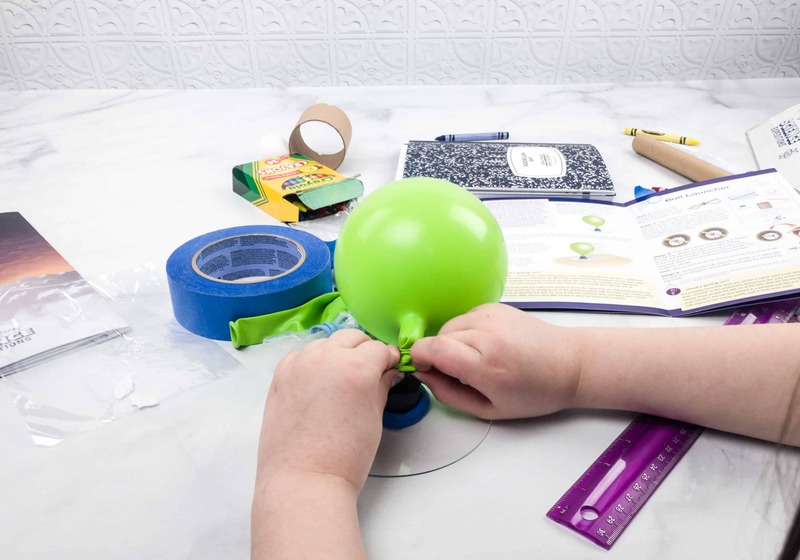 For the hovercraft, the provided items are three balloons, plastic disc with a hole, nozzle, adhesive foam circle, and modeling clay. From home, you will only need a scissor and a flat working table. We attached the nozzle and adhesive foam circle to the plastic disk, then sealed it using the clay. Next step is to put the inflated balloon on top, and slowly release the balloon which sends the disk into a little gliding! 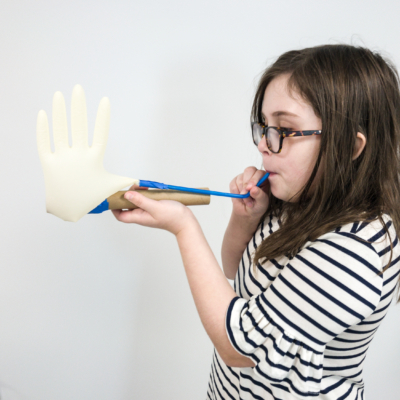 Last but not the least is the ball launcher. 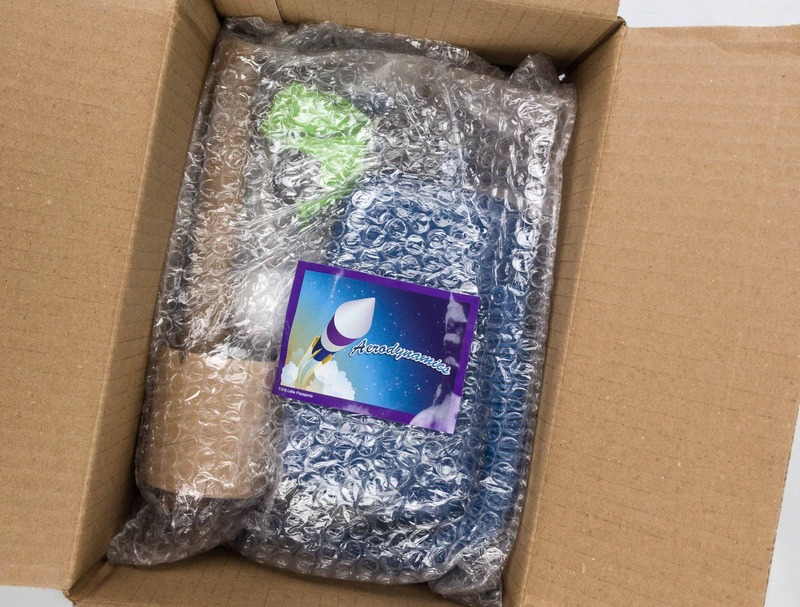 The materials included in the crate are rubber bands, ping-pong ball, small gasket, short stick, and short cardboard cylinder. 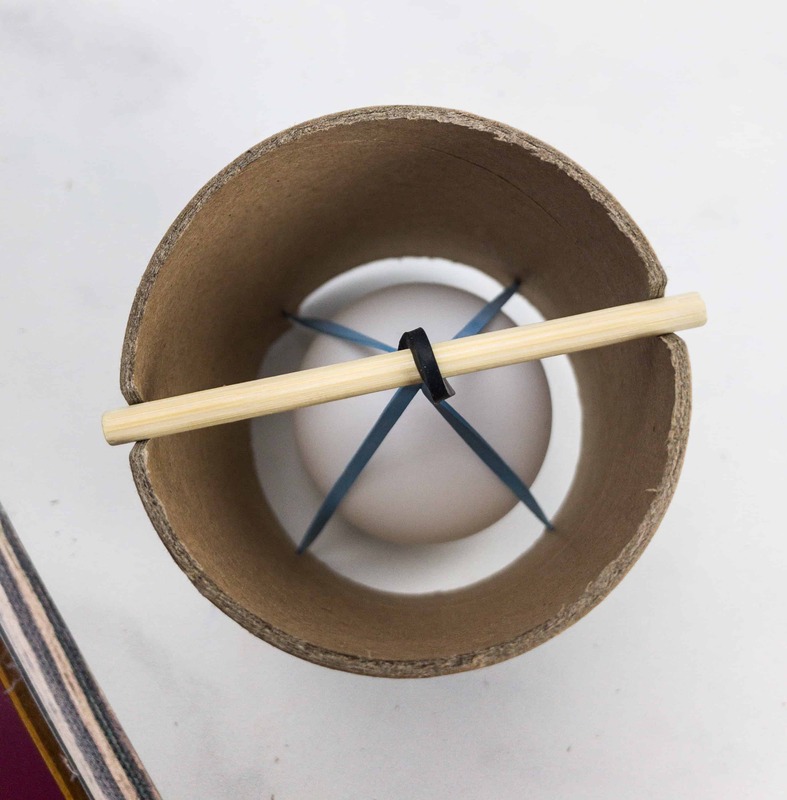 To launch the ball, place the cylinder on a table with the stick and v-shaped notches down and drop the ping-pong ball inside. 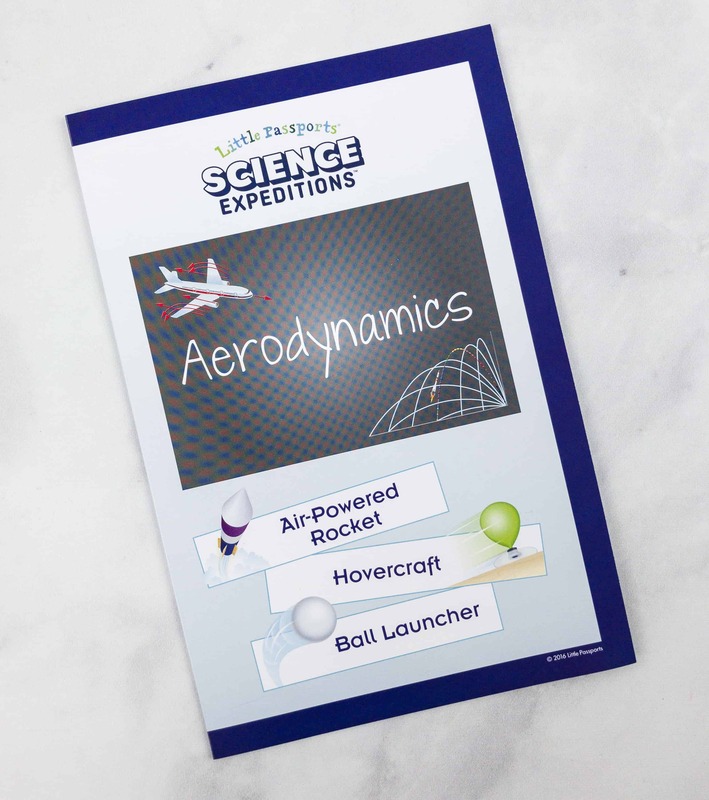 Little Passports Science Expedition Aerodynamics made it easier for the kids to learn about the motion of air, as well as other other concepts involving physics. As always, the activities and experiments were fun and engaging. 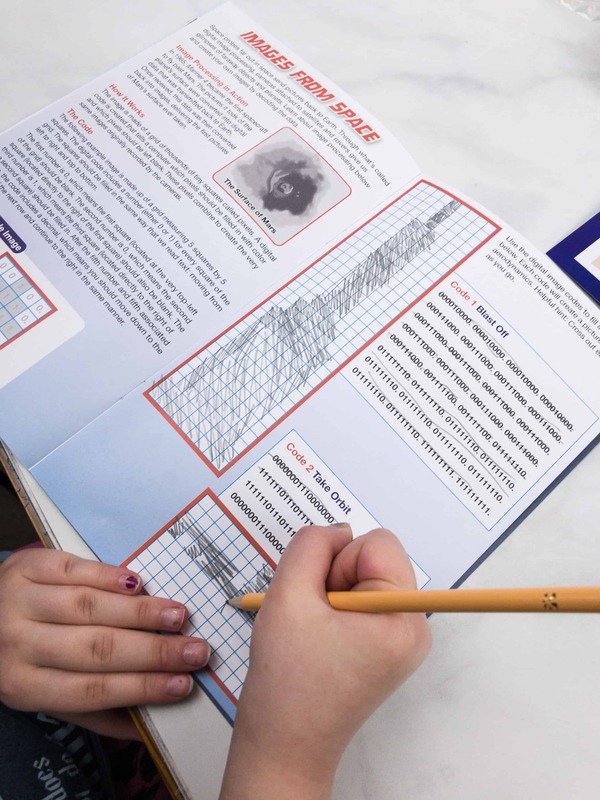 My daughter immediately finished the on-page activities, while the experiments made a quality bonding time for the whole family. Also, most of the materials for the experiments are provided in the crate, and only a few things from home are needed. 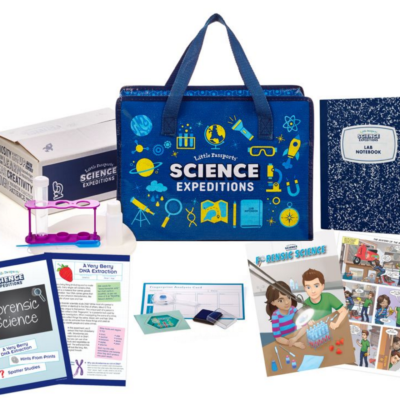 Overall, this box is perfect for an older elementary age child who wants to engage more deeply with science and engineering topics. 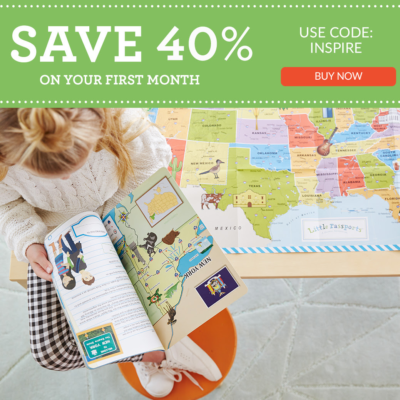 Are you as excited as my kids and I are about this subscription? 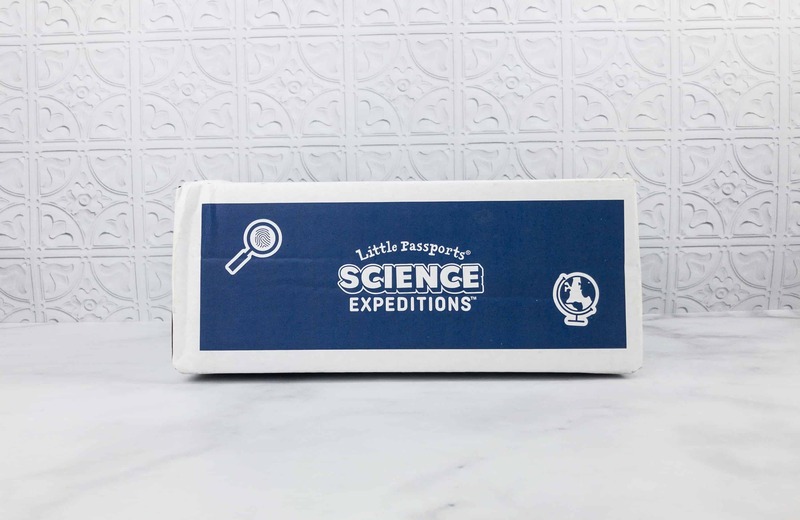 Do you plan to subscribe to Little Passports Science Expeditions?